Best and Worst States for Happiness? It is a knock off of the famous “misery index” that was so politically influential in the late 70’s and early 80’s. The Best State for Happiness is Nebraska. Iowa, Kansas, Hawaii and Louisiana round out the top 5. The Worst State for Happiness is Oregon. Florida, California, Rhode Island and Nevada round out the bottom 5 of the Worst States for Happiness. While we find the index interesting, it really should be viewed as a simple financial happiness index as it does not factor many other issues that contirbute to the happiness of a population in a state. For example, for livability Louisiana is rated 46th one of the worst states see our blog Livability Index. 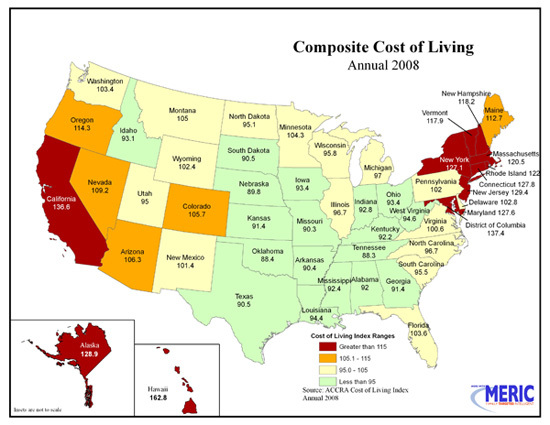 Hawaii is a very high cost of living state and even if you are employed lifestyle may still be challenging. The index also does not factor in any other factors such as health, weather or rankings of mental happiness so while useful I would suggest you take a much broader look at other factors in a state than this simple “Happiness Index.” Many of these other factors are discussed in posts on this site.